In many ways, the state of Israel is a relatively unique postcolonial experiment. Brought into being as a philosophical and ideologically utopian solution to the “Jewish problem” of nineteenth-century Europe; granted sovereignty by the United Nations as an emergency solution to the problem of what to do with all the Jews displaced by the Second World War and the Holocaust; and ultimately forged in the crucible of war with both a dispossessed indigenous populace and surrounding Arab states; the state of Israel has been largely stable, mostly democratic, and economically prosperous in a region defined by instability, authoritarianism, and low standards of living. However, as Gershom Gorenberg’s 2011 book The Unmaking of Israel points out, the conditions that have made Israel generally exceptional are increasingly threatened by the undemocratic nature of the occupation of the West Bank and Gaza, the settlement enterprise in the occupied territories, and the dangerous entanglement of religion with both state and military. Gorenberg, an Israeli journalist who has written frequently on Israeli domestic politics and the occupation for The Jerusalem Post, The American Prospect, and on his own blog, southjerusalem.com, is well known for his left-wing political stance both inside Israel and in the United States. And in many ways he is the ideal messenger for the bleak picture of Israeli democracy he paints in The Unmaking of Israel: an American-born Israeli, Gorenberg intimately understands the diaspora relationship to Israel and the history of American Jewish attitudes toward Israel; as a religious Jew, he also speaks with authority on questions of religion, and particularly the corruptions of Judaism created by religious entanglement with the state. As someone who has spent a lot of time in Israel (I lived there for a year and have visited many times), is fluent in Hebrew, and does some work in the field of Israel Studies, I sometimes feel that I’ve heard all the arguments, on both sides, a million times. The positions are entrenched, and the primary actors never seem to budge much from their fixed stances. One of the brilliant things about this book is that it shakes up these traditional arguments and positions, presenting a novel and compelling perspective. Full disclosure: I am generally sympathetic to Gorenberg’s political positions and have been a fan of his work and his blog for a long time; a few years ago I helped bring him to speak at a synagogue of which I was a member. Many people might dismiss my positive feelings about this book as a product of my sympathies with Gorenberg’s views generally. But I think that would be doing this book a great disservice, because it reframes the question of “peace” as a domestic question about the character of Israel itself and the future of Israeli democracy, a shift in perspective that confronts the grave dangers Israel faces not from outside threats, but from within. These threats, generally speaking, are divided into three broad categories that are, in turn, enmeshed with each other: the Israeli military occupation of the West Bank, the settlement enterprise, and state and military entanglement with and support of religion. There are, of course, many cross-categorized sub-issues here: unofficial and off-the-books state support of illegal settlements in the occupied territories, the political radicalization of ultra-religious settler groups, state support for a growing Orthodox officer class in the military that is more loyal to its rabbinic leadership than its army commanders, a growing population of ultra-Orthodox youth and adults who have little or no secular education and live off of handouts paid for by the tax dollars of the rest of the population, and many more. Gorenberg expertly and concisely explicates the complex historical circumstances and political decisions that led to the current state of affairs. Although The Unmaking of Israel is a meticulously researched, historically grounded argument, one of its strengths is the presence of Gorenberg’s voice of outrage. He is outraged about both the corruption of Israeli democracy and the corruption of Judaism, and writes eloquently and passionately about the way the occupation has given rise to specious arguments about the rule of law and about religion. For example, Gorenberg writes about a book written in 2009 by two rabbis from a politically radicalized Orthodox yeshiva (religious academy) in the West Bank that justified the killing of “enemy” civilians by the military, even children, in direct contravention to the Israel Defense Forces’ own rules of engagement. Gorenberg concludes, “Without mentioning the Israel Defense Forces, the book is a broadside against the army’s rules on avoiding harm to enemy civilians….this is a full volume justifying war crimes, desecrating the faith in whose name it is supposedly written.” This is only one of numerous examples detailing the complicated web of interactions between settlements and settlers, radicalized rabbis and religious leaders, the state, and the military that point to what Gorenberg calls the “split in Israel’s personality” between an ostensibly secular, democratic state and a supporter of both occupation and religion. Gorenberg’s account is strengthened by the deep historical context he gives to this split personality, which he claims, plausibly, stems from the pre-state ideological commitment of Zionism to settle the land of Israel. Before the establishment of the state, various arms of the Zionist movement sought to create Jewish settlements in various parts of Ottoman and, later, mandate Palestine in order to lay claim to land that might eventually be declared a Jewish state. Gorenberg places the misguided settlement enterprise in the context of the drive for settlement, contending that the Israeli leadership never truly made the transition from thinking like national movement to thinking like a state actor, and therefore continued with the nationalist drive for settlement of the land even in contravention of its own laws (not to mention international laws) against settlement in the occupied territories. Although this makes the settlement enterprise understandable within the context of Jewish, and particularly territorial Zionist, history, it only makes both the settlements themselves and the very ideology that produced them seem more inseparable than ever from the mechanisms of the state. 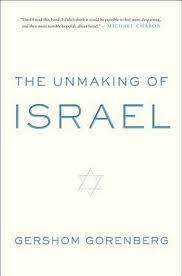 Unlike many commentators and historians who have written about Israel and the occupation, in The Unmaking of Israel Gorenberg offers a clear prescription for what ails the country. The last chapter, titled “The Reestablishment of Israel,” consists of a series of programmatic solutions, many of them eminently fair and practical, designed to set Israel back on course toward democracy and the rule of law. Generally speaking, these fall into three categories that roughly correspond to his major criticisms of the current state of affairs: “For Israel to establish itself again as a liberal democracy, it must make three changes. First, it must end the settlement enterprise, end the occupation, and find a peaceful way to partition the land between the Jordan and the Mediterranean. Second, it must divorce state and synagogue – freeing the state from clericalism, and religion from the state. Third and most basically, it must graduate from being an ethnic movement to being a democratic state in which all citizens enjoy equality.” Sounds beautiful, right? But as I read the specific steps Gorenberg outlines in order to move toward these goals, I became increasingly despondent. While they are all within the realm of possibility, especially since the last Israeli election, at this moment they seem more like a shimmering mirage on the desert horizon. Nonetheless, this thirsty traveler will continue to walk toward them, hoping that when I arrive they will turn out to be real after all. I am one of those strange, possibly disturbed human beings who enjoys reading the literature of extremity. I wrote a college thesis on Holocaust testimonies; I’m teaching a class right now on Holocaust literature, art, and film; and the thing is, I like a lot of the literature, art, and film I teach. I enjoy it. Plenty has been written about the ethics of beauty in Holocaust literature and art and the dilemmas inherent in enjoying, or making enjoyable, this kind of representation. I’m not particularly interested in weighing in on that question here (or anywhere), partly because I’m unqualified to do so, as someone with only a cursory knowledge of the philosophical underpinnings of such arguments, but also because – and perhaps, again, this means I am a VERY SICK PERSON – I am more interested in why I love this literature and what is beautiful, redeeming, or holy about it. And this is the redemptive power of the literature of extremity: it invites us, forces us, even, to fulfill our obligation to imagine what we routinely deem incomprehensible. 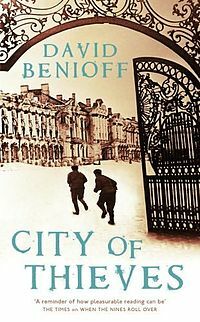 Even more so a novel like City of Thieves, which offers its own imaginative and emotional pleasures despite realistically gruesome depictions of violence and death. There is nothing gratuitous in this novel, and, although I was skeptical at first of the opening chapter, nothing unnecessary. That first chapter contains a brief frame story, in which a young screenwriter from Los Angeles (Benioff is a young screenwriter from Los Angeles) named David Beniov (!) goes to interview his Russian immigrant grandparents about their lives for an article he’s writing. My hackles were immediately raised by this seemingly gratuitous (see above) and unnecessary (ibid.) postmodern trickery in an otherwise entirely conventionally narrated story. But as I read on I realized that this introduction quietly addresses some of the central questions of testimony and the nature of “truth.” As the David Beniov of the novel quizzes his grandfather Lev on minute details of his experience, explaining, “I just want to make sure I get everything right,” his grandfather assures him, “You won’t.” This acknowledgment of the unreliability of testimony and witness comes with an assurance that, in a sense, it doesn’t matter. There is truth in the telling, and perfect factual accuracy is impossible. There is no memory so flawless that testimony can be perfect, and yet, the novel suggests that even the fictionalized telling, the embellished tale, is true. “You’re a writer. Make it up,” the elderly Lev Beniov tells his grandson. This license to “make it up” also cleverly explains the intricacy and detail of the description and dialogue that follows, which is a first-person account of the first week of January 1942, when the seventeen-year-old Lev Beniov is sent on a fool’s errand by an NKVD colonel. His companion in this adventure is his polar opposite, his foil, and later, his friend. The picaresque, popular two hundred years ago, is an underused form these days, and perfect for the whirlwind of horror that was the Second World War, in which nothing but luck ensured survival. The way Lev and his companion Kolya bounce from one harrowing situation to another – an encounter with cannibals, a partisan-Nazi shootout, a stint on a death march of Soviet POWs, among others – approximates the chaos and uncertainty of war, but also of the authoritarian regimes that were its principal antagonists. The absurd re-ordering of life occasioned by both the war and the Soviet or Nazi systems is embodied in the whimsy of the picaresque here, and the premise – that the two main characters can evade execution only through accomplishing an impossible task that will probably kill them – perfectly encapsulates the unanswerable questions, unresolvable dilemmas, and inconceivable choices so crucial to understanding the moral insensibility of the Holocaust. 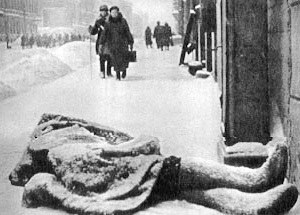 Though the novel finds its focus in the developing friendship between Lev and Kolya, it does not shy away from the terror of the siege, millions of people trapped in a freezing city with few means of survival, or the atrocity of the war, with particular attention (justified, I think) to Nazi violence. 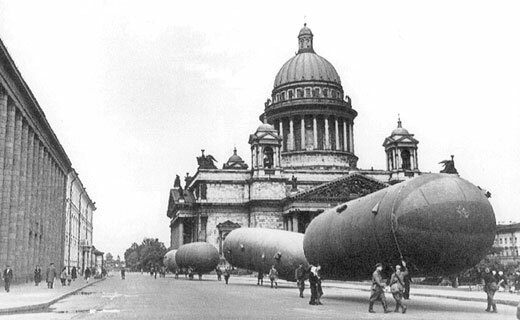 Lev characterizes the kind of mindtrick Leningrad residents engaged in to survive: “You couldn’t let too much truth seep into your conversation, you couldn’t admit with your mouth what your eyes had seen.” But the book itself freely admits what it sees, and does not gloss either grim realities or extreme violence, describing it carefully and fully. One scene that becomes central to the plot is enough to induce nausea and nightmares, yet it is crucial both to the story and the setting. The novel is very conscious of the potentially troubling relationship between beauty and horror, pleasure and violence. Looking at a burning village, Lev thinks, “At a distance it seemed beautiful, and I thought it was strange that powerful violence is often so pleasing to the eye, like tracer bullets at night.” While the book rightly forces us to imagine the incomprehensible, it is also aware of the moral pitfalls of that very task. In the end, despite what might have been too pat an ending that I nonetheless loved, I realized that the first chapter had yet another narrative purpose beyond foreshadowing and an internal justification of the genre. Though the frame story does not return, we realize that our introduction to the grandson, David, was essential to the completion of the story: he is the end of the real story, the witness and the legacy of his grandparents’ survival. He needn’t “make it up,” because he is it. Sometime in late 1994 I opened The New Yorker and saw a new story by David Foster Wallace. 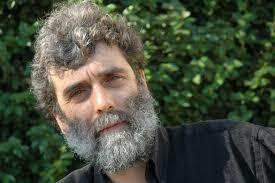 I had read his first two books, a novel and a collection of short stories, and I was a fan of his work. But it had been years since I’d seen anything new from him in print and I was thrilled the way I still am when I open up The New Yorker and find a story by a beloved author who hasn’t published anything in a while. I don’t know why, but I was so thrilled and happy to see this particular story that I wrote David Foster Wallace a fan letter, care of the magazine. And that would be the end of my silly, youthful story of booknerddom if not for one thing: David Foster Wallace wrote me back. I found his letter recently in my parents’ basement, in a stack of old correspondence. 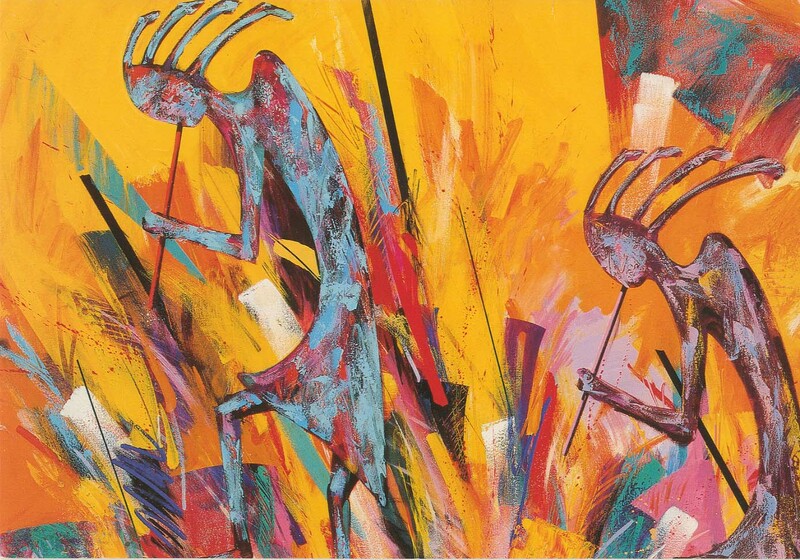 It’s a card with a colorful reproduction of a painting by a Native American painter of the figure of Kokopelli, which I now know was something DFW was into at that time. Inside is a folded piece of white paper with a typed message with handwritten addenda and corrections. 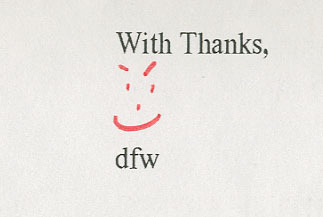 It’s a very sweet note to a fangirl, thanking me for my letter, which made him “feel good” during the difficult process of editing a long manuscript that must have been Infinite Jest. He writes a chattily about work; Boston, where I was living at the time; and his dog. I can hardly bear to re-read the letter now, partly because it embarrassingly reminds me of my younger, nerdy, insecure self (and also that I am older, but still pretty nerdy and sometimes insecure), and partly because it feels like an artifact of a terrible tragedy. My 96-year-old grandmother died in November, and I joyfully wear the few pieces of jewelry she left me, remembering her fondly as I do. Perhaps because I didn’t really know him, or because his death violated the natural order in the way that all suicides do, looking at this letter, even handling it, feels like a desecration. All this is just a preface to establish the deep, abiding, and long-term interest in DFW that led me to D.T. Max’s (relatively) new biography of the writer, Every Love Story is a Ghost Story. As I read, I found myself increasingly irritated by certain seemingly minor but actually major structural problems, like the unnecessary endnotes that seem like a heartless and failed parody of the work of the man who elevated the endnote to an art form; the second layer of citations, for sources, mystifyingly listed by page number just after the conclusion of the endnotes, which make the endnotes look skillful after all by comparison; the shockingly high number of typos and grammatical, if not errors, then awkwardnesses in a book about a guy who worshipped at the altar of grammar and for whom language was god; the strangely detached voice that left me somewhat cold for the first half of the book. I was also appalled to find details like excerpts from DFW’s elementary-school poetic efforts, which I just think should be off limits to anyone, especially the entire reading public of the whole wide world. But soon I realized that my irritation probably lay largely in the genre of biography itself. I don’t read many biographies – or any biographies? I think the last one I read might have been a profile of Winnie Mandela when I was twelve, and to give you an idea of how long ago that was, it was at a time when Winnie Mandela was still a person you would want to read a biography about – but after reading this one I have realized that I hope never to be well-enough known or influential enough that someone might want to posthumously publish excerpts from my kindergarten literary oeuvre or dissect my high-school and college friendships to a degree that could only be described as microscopic (and to anyone who ever spent a late night in my parents’ kitchen or in the common area of a Canaday-D dorm room: your lips are sealed, right?). Despite all this intimate investigation, it felt to me as if I knew DFW less and less as the pages wore on, but I don’t think this is Max’s fault. Biography just reminds us of that truism of human relationships and life on earth, which is that you can never – although you can come really, really close in certain instances, like in a long, happy marriage or a mostly functional family – really know another person. What you can learn from the biography of a writer is the fascinating machinations of composition and publication that you might call literary history. Every Love Story is particularly strong in this area, and the book got better as it passed into the era of DFW’s major work. It is also strong, and grows stronger toward the end, at explicating the philosophical and intellectual underpinnings of DFW’s fiction, and the transformation in his thinking about literature and life over time. Max writes insightfully about a commencement address DFW delivered at Kenyon College in 2005, later widely circulated on the Internet, “The truth behind banalities always excited and embarrassed Wallace, filling him with the wonder that, as he wrote in Infinite Jest, ‘cliched directives are a lot more deep and hard to actually do.’ Over the past twenty-five years his mental life had run a huge circuit through the most astonishing complexities to arrive at what many six-year-olds and nearly all churchgoers already understood.” Max understands perfectly what DFW’s contribution, his masterpiece, really was: not a single book or body of work, but the way that he increased the range of contemporary fiction, its warmth and humanity, with an expansiveness of spirit that was courageous and genuine. Alas, the worst thing about reading a biography about a figure you like and admire who is also a relatively young suicide is that you first have the creeping and then the galloping sensation of being carried along with increasing anxiety toward an inevitable and unbearable conclusion. D.T. Max himself recognized this, and wrote of the title he chose that it “captures the particular, morbid work of the biographer, who doesn’t open up his or her laptop until the casket shuts.” That quality made this particular biography, for me at least, more difficult than most. 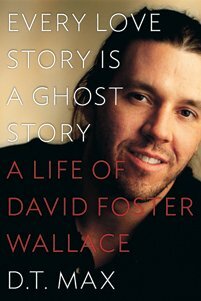 As I approached the end of the book, I was increasingly filled with dread, and only partly because I knew it meant that DFW would die, which, since he’s already dead, could hardly have been the source of all of my anxiety, but because it caused me to reflect, at every moment that I was reading, and even when I wasn’t, on the quality of my own days – or the water I was swimming through, as DFW had it in his Kenyon speech – which, after all, was what he spent his own life trying to get the rest of us to see. The day after my birthday my husband took me out for a surprise birthday date. On our way, I was telling him that I wanted to start my project by re-reading A Tale of Two Cities. I don’t know why, but that book jumped to mind and I had my heart set on it. I also thought we had a copy on our bookshelf, but when I went to check we had plenty of Dickens, collected through years of joint graduate education and general overschooling, but no Tale of Two Cities. So I had been hoping to run out to the local chain of second-hand bookstores (you read that right – Houston has a chain of used bookstores! ), Half-Price Books, which is really one of the best things about the city. When Mark and I snobbishly disdain what our elite urban sensibilities deem to be Houston’s insufficient cosmopolitanism, it’s not because of a lack of discount used bookstores. In any case, I never made it to the bookstore that afternoon, and I was getting anxious about getting started on the book and on the project in general without procrastinating so much at the beginning of the year so as to make the end of the year miserable or render the project simply impossible. At that moment (and yes, I know this sounds like a reality show that is not only terribly boring but might also be scripted) we passed a Half-Price Books (really, we did – a less unbelievable development when you remember it’s a chain of stores). And my devoted and loving husband said, with no hint of mockery, which, of course, would have been warranted, “Do you want me to turn around?” I nodded, and after one harrowing hairpinny turn through the nearly full parking lot of what must have been a very popular Mexican restaurant, we were back at the bookstore. I’m pretty sure I’m the only woman on earth who would make her husband turn around to stop at a used bookstore while en route to a surprise birthday dinner, but that’s why he loves me, folks. The wonders did not cease there, either. 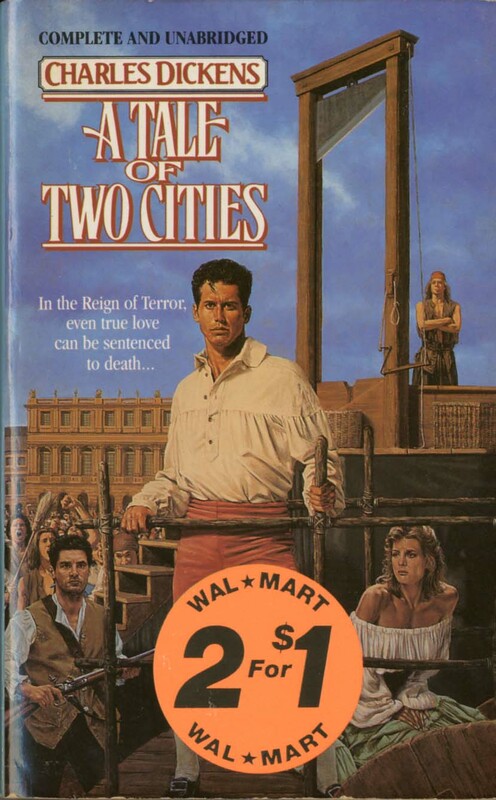 Not only were there five copies of A Tale of Two Cities to choose from – I chose on the basis of print size (largish), book condition (like new), and fabulous cover art (see for yourself) – but it cost me only 49 cents. And, dear readers, there’s nothing I love as much as a bargain, so it was a fine birthday present indeed. Again, I’m not sure why I decided to start with this particular book, but I am a huge fan of 19th-century English literature, especially the usual suspects: Austen, Eliot, Hardy, the Brontes, and Dickens. Except I probably haven’t read any Dickens since high school, and am at risk of having my high-culture card revoked, so Dickens it is. Re-reading the book I realized again why I love 19th-century English literature: it reminds me that all of my first-world anxiety about how far the culture has fallen (hello, Kardashians!) is misplaced; people of all classes always had prurient interest in other people’s (especially rich or famous people’s) lives, it’s just that now we have many more and more efficient delivery methods for public intrigue. Dickens doesn’t gloss over the ill effects of our gossip mongering, allowing cultural elites of the digital age to feel a delicious bond of snobbery when he writes things like, “Whatever gloss the various spectators put upon the interest [in this case, in seeing a man sentenced to death], according to their several arts and powers of self-deceit, the interest was, at the root of it, ogreish.” Ogreish. Oh, snap. A quick synopsis: the story details the lives of Doctor Manette, a former prisoner of the Bastille now living in England with his daughter Lucie; her eventual husband, the somewhat mysterious French teacher and former aristocrat Charles Darnay (né D’Aulnais né Evrémonde); Sydney Carton, an alcoholic lawyer who befriends the Manettes and is in love with Lucie; and an assortment of more or less Dickensian sidekicks and minor characters. In the first two parts, we are drawn into the lives of the characters, Charles and Lucie’s marriage and family, and their happy little circle of friends. In the third part of the novel, Charles returns to France in the midst of the Revolution in order to save a family functionary from a death sentence he believes is unjust, thinking that his long-distance and somewhat feeble attempts to not wholly exploit the peasants who live on his family’s land will save him from a similar fate. He’s right, up to a point. Then, enter Madame Defarge, a woman with a family grudge and a scarf knitted with the names of her enemies a mile long. Charles is sentenced to La Guillotine, and the last quarter of the book is occupied with the morally and narratively satisfying intrigue that (spoiler alert!) leads to a (mostly) happy ending. A Tale of Two Cities’ claim to fame, of course, is one of the most famous openings in the history of literature: “It was the best of times, it was the worst of times,” etc. The opening is also the first deployment of one of the primary themes of the novel – twinning. Here we have pairs of opposites – best/worst, wisdom/foolishness, belief/incredulity, and so on – presenting us with the fact of the constant coexistence of contradiction and ambivalence in everyday life, in a time very much “like the present period.” The historical moment in which the novel is set, the French Revolution, is “like the present period,” or our own, insofar as injustice and mob rule continue to reign supreme, which, if you have read the newspapers lately is, of course, the case. This pairing of opposites extends to people, and the slightly melodramatic plot of the novel hinges on one of these twin pairings: the doppelgängers Charles Darnay and Sydney Carton, the former a lapsed French aristocrat of impeccable morals and integrity, the latter a dissolute lawyer of, it turns out, impeccable morals and integrity. Our continuing fascination with doppelgängers makes sense: seeing a stranger who looks just (or nearly just) like you opens you to the possibility of the life unlived, the path not taken. You, too, could have been the star of Dirty Dancing (people always say I look like Jennifer Grey [before the nose job])! No spoilers, but here the payoff isn’t quite as enticing as grinding with Patrick Swayze, at least for Sydney Carton, but even he knows that in the assertively Christian moral universe of the novel, a narcissistic drunk has to meet a bad end. He tells Lucie early on, in what is not the most subtle piece of foreshadowing ever, “I am like one who died young. All my life might have been.” Well then. The intrusion of that overt Christianity, with its suggestions of moral superiority and look-down-your-nose snobbery, is really the only irritating thing about a book that is otherwise socially, politically, and historically astute at the same time as it is a thoroughly engaging, plot-driven story. Even the Christian themes are handled nicely: there’s a charming little jokey subplot involving grave robbing (which later plays a key role in the main plot) that toys with the theme of resurrection, first introduced when Doctor Manette is released from the Bastille and, in the words of the novel, “recalled to life.” It’s only when Sydney wanders around Paris reciting the lines Jesus says to Martha before the resurrection of Lazarus (“I am the resurrection and the life,” etc., etc.) or the narrative characterizes the French revolutionaries as godless barbarians that it becomes a little heavy handed. A small criticism, really, particularly as I’m now inclined to accept the bad with the good, the dark with the light, and the occasional authorial overreach in a classic novel.